On the Dutch group's fifth full-length, a plethora of new influences and daring experiments combine with their traditional sound, birthing a glorious, beautiful, and completely unexpected monster of an album. Dutch symphonic metal group Within Temptation never fails to make their music interesting. Their 15-year career has been a continuous experiment to stretch their limits and explore every aspect of their sound to its fullest. Each album they have released to this point has focused on a different musical element, allowing that element to grow and evolve, and then carrying that growth over to future releases. Thus, Within Temptation's sound has been an ever-changing spiral of refinement and progress. 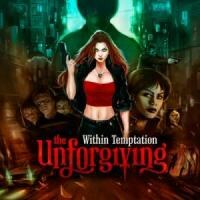 On their fifth studio album, The Unforgiving, Within Temptation has taken the next big step in audio evolution by re-shaping their entire compositional structure and songwriting approach to include new elements and styles. These bold endeavors have yielded a simply breathtaking album with more substance and intensity than anything the band has written before. Instrumentally, the band sounds better than ever, now that every piece of their sound has been developed over the course of four albums. The rhythm section is as tight as ever, despite the fact that the drums were recorded by session member Nicka Hellenberg, who has since been replaced by new full-time drummer Mike Coolen. Keyboardist Martijn Spierenburg is able to explore many new arrangements on this album, and the symphonic sections backing him up have greater levels of bombast and energy for accentuation. The guitars show even more melodic energy and technical flair, with lead guitarist Ruud Jolie ripping through some excellent solos. And of course, vocalist Sharon den Adel delivers a stellar performance, somehow sounding even better than on 2007's The Heart of Everything. This is the finest we've seen Within Temptation perform up to this point in their careers, displaying a lot of subtlety and finesse that only seasoned musicians are capable of. The area where The Unforgiving becomes truly exceptional, though, is in the songwriting and compositions. On previous albums, Within Temptation has held to a symphonic-based structure with elements of gothic rock and metal added for effect. But on The Unforgiving, the band has dramatically enriched their sound with a broad array of new influences. There is a strong infusion of modern hard rock structuring on songs like "Faster", "Sinéad", and "Shot in the Dark", which are unsurprisingly the three planned singles from the album thus far. Some songs, like "In the Middle of the Night" and "A Demon's Fate", use grandiose, high-reaching power metal themes, similar to the style of Nightwish and After Forever. And there are even songs using syncopated, groove-injected rhythms and nonstandard time signatures, such as "Iron" and "Murder", that keep the album lively and prevent flatness. Diehard fans of Within Temptation's usual sound may be disappointed in these new influences, but they will also be satiated by the songs featuring the band's traditional style, such as "Fire and Ice", "Where Is the Edge", and "Lost". Ultimately, The Unforgiving is a musical journey of expansion and achievement, in which Within Temptation examine their music and push it into unexplored territory. Not only is this effort an unbridled success, but it is also a major step towards mainstream recognition and worldwide growth of their fan base. At least half of the songs on this album could be active rock hits in the current format, and the entire album is worth buying for fans of at least ten rock and metal subgenres. Coupled with the short films and the comic book that are companion pieces to the album, The Unforgiving is much more than just an excellent record. It is an all-encompassing audio-visual experience that will leave its audience breathless for a long time to come.